From as little as $1 per soccer tip. This tipsters ranking is based on single picks excluding doubles and multi accumulators. For the full ranking, click here. Tipsters with consecutive winnings in their recent predictions. Tipsters whom have lost a few matches in a row. Bad luck you call it. Read up these useful tips for soccer betting. ← France vs Belgium: Will They Better Their Best? 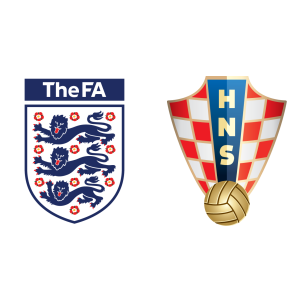 England vs Croatia, these two teams have been in the football scene for decades. They have participated in almost every major competition and the World Cup is the biggest stage of all to prove their pedigree. England have been on a hiatus and they have not faired well in the World Cup competition in the past years. They last reached this stage of the competition 52 years ago, this was so long ago none of the players on either team was born. The last time England played at this level Croatia were yet to gain independence. So both teams come into this game as a new generation ready to detach themselves from what history has said about them. England vs Croatia will be a coming of age of a young generation of footballers who bring to the table a mix of experience and talent that will be a sight to behold. The two teams have worked hard to get their country’s this far and both have had a different journey to reminisce upon. England have won all their games in the 2018 World Cup apart from the loss to Belgium in the group stage. As for Croatia they have 100% win record so far and they want to keep this record intact. Croatia beat Argentina to make their way to the top of the group but their road to the semis has been tested to the limit. They have been to the penalty shootouts twice in a row and that goes to show that they can go the distance and still maintain their character. England were pushed to the brink by Colombia but they proceeded to beat them in the penalties a first for England. They trounced Sweden in the quarter finals and they find themselves in a unique position somewhere they have not been in 52 years. England are coming in confident but they are yet to meet a team like Croatia who ave a combination of skill and experience to boot. England vs Croatia will be their eight meeting and those last 7 meetings England has risen to been Croatia 4 times against 2 of Croatia and a draw. Given these last meetings we are more than likely going to get the winner in the regular time but this will be determined by how well these teams execute their plans. Both teams have superstars and these bunch will have to step up to get the ticket into the finals. England has Harry Kane, Dele Alli, and the likes and Croatia have Ivan Rakitic, Luca Modric, and the likes who have immense experience and the capability of turning the tides in this game. The English coach will maintain his team as best as he can as it has won match after match in this competition and changing anything now may be detrimental. Croatia will also have slight changes because thy have a player on suspension which is a big disadvantage but they have a capable replacement to chime in. This match will test the wills of these two teams as England looks to win another World Cup tournament and Croatia look to win it for the first time ever, either way they will both show up to make history and to the pleasure of all the football fans. Croatia team has the ability for a come back within 90 mins. They know how to stay in control of the game. Croatia to win.